The Metro 110cc Moped for sale is an amazing value that is inexpensive but not at all cheap! 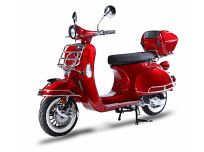 Retro never looked so cool! 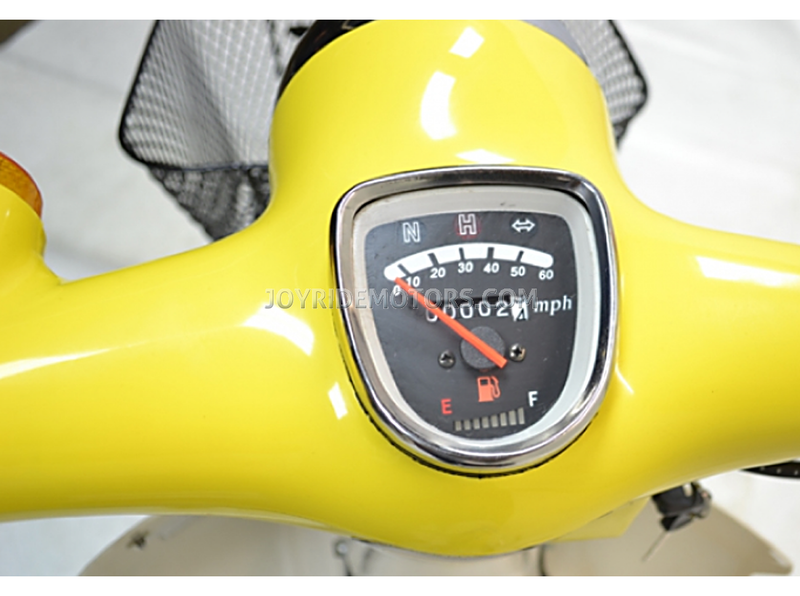 The Old School Classic Style of the Metro 110cc Moped for sale is really something special. 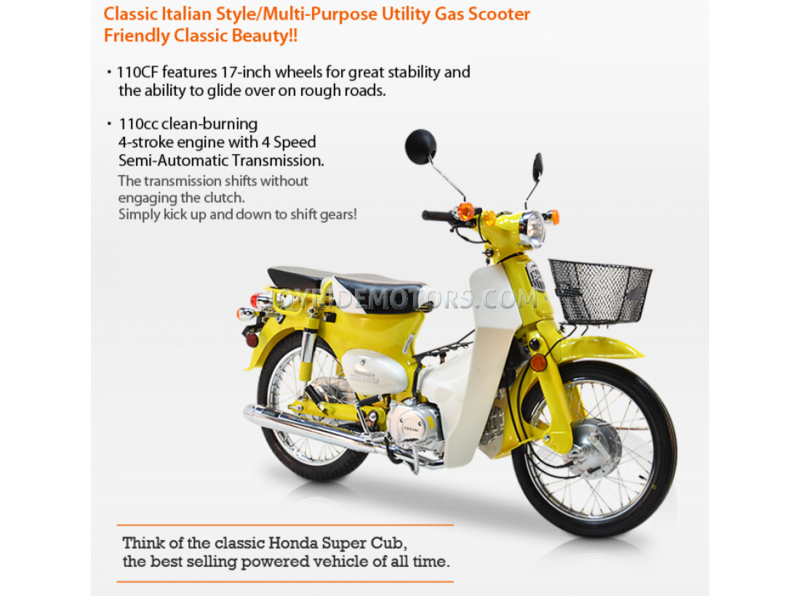 Its a Spot-On throwback clone of the original Honda Super CUB Moped that started it all - considered THE BEST SELLING POWERED VEHICLE off ALL TIME - with over 60 million SOLD World Wide! 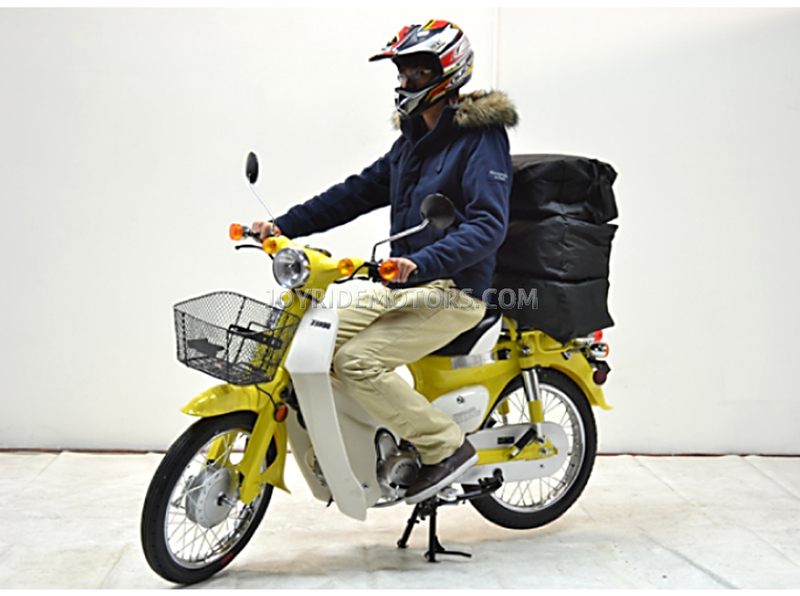 Just look at it... it's got 17" spoke wheels and a handlebar basket plus additional storage under the seat and brackets for an additional luggage box! 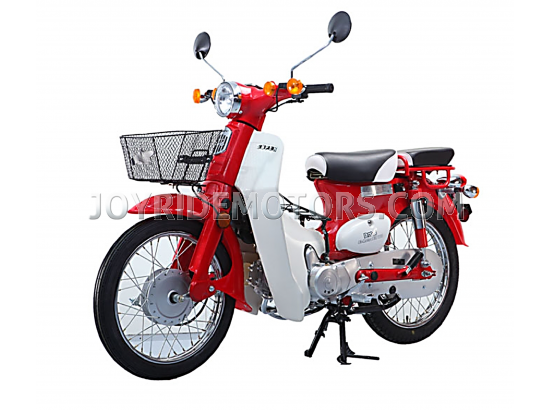 With its retro look you'll gain the respect of anyone with an appreciation for vintage mopeds by Honda and everyone that's ever worked for the Japanese Postal Service! 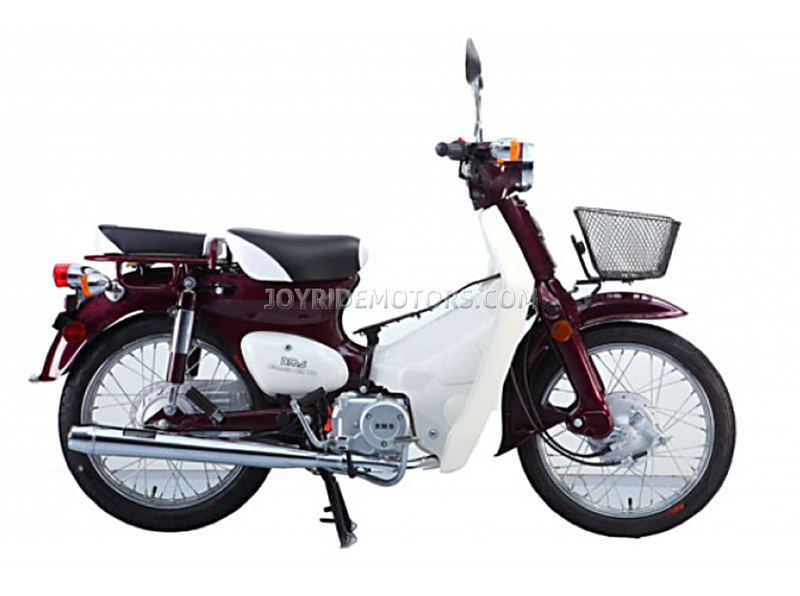 ALSO: If you want to similar style 49cc version for your specific state licensing purposes, with even greater fuel economy, then check out the Joy Ride STERLING 50cc Moped! 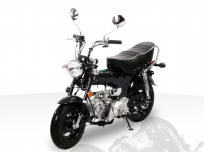 When the first generation of the Honda Super Cub moped was introduced in 1958, it came with pedals to get you going. 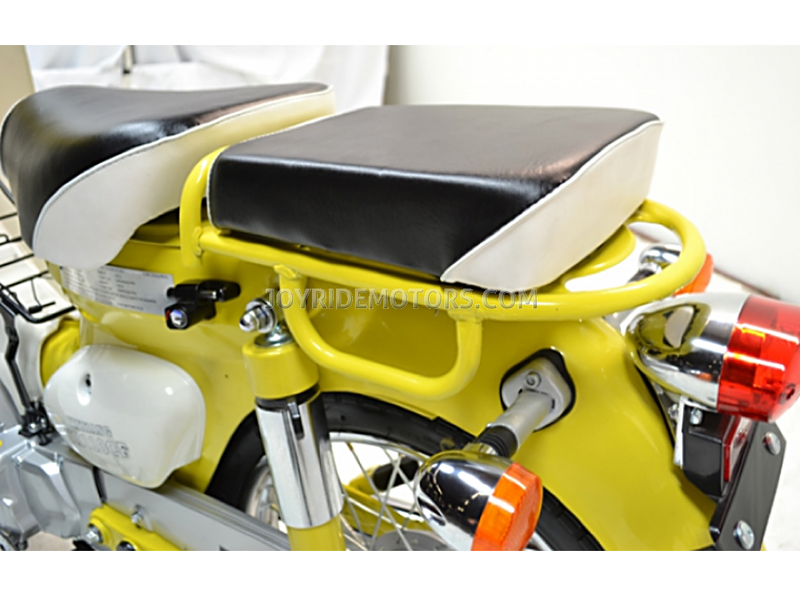 55 Years later, this moped for sale comes with an electric as well as a kick starter! 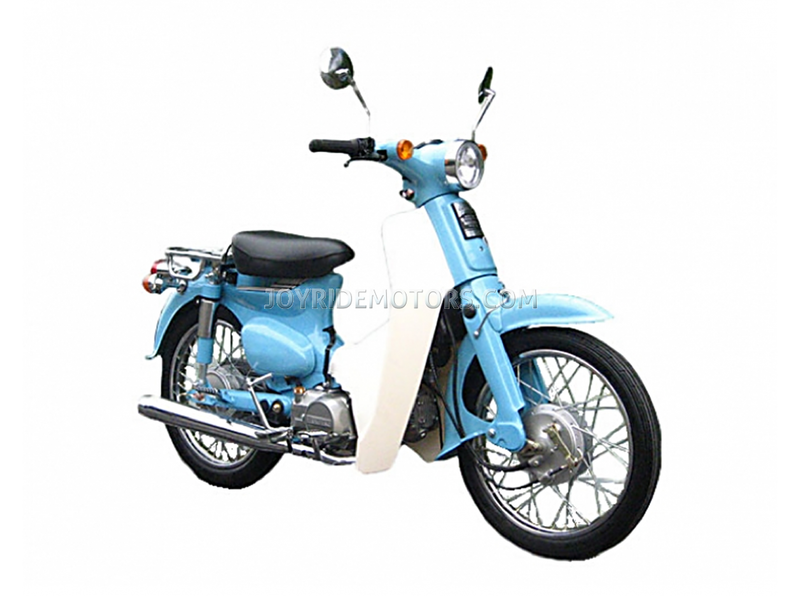 With a powerful 110cc air cooled XinXiang engine, this OG Super Cub Style Moped is very reliable and will get you where you wana go in a flash on just ounces of gasoline with it's high efficiency moped engine which is the BEST in the market today! 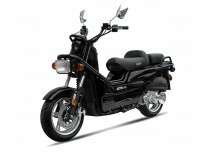 It's very agile, fast and fun to ride at speeds up to 55 MPH with an estimated Fuel Economy of 100+ MPG! 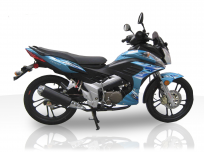 The 4-Speed Semi-Automatic Transmission shifts without engaging a clutch. 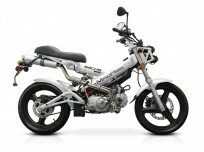 Simply kick up and down to shift gears! 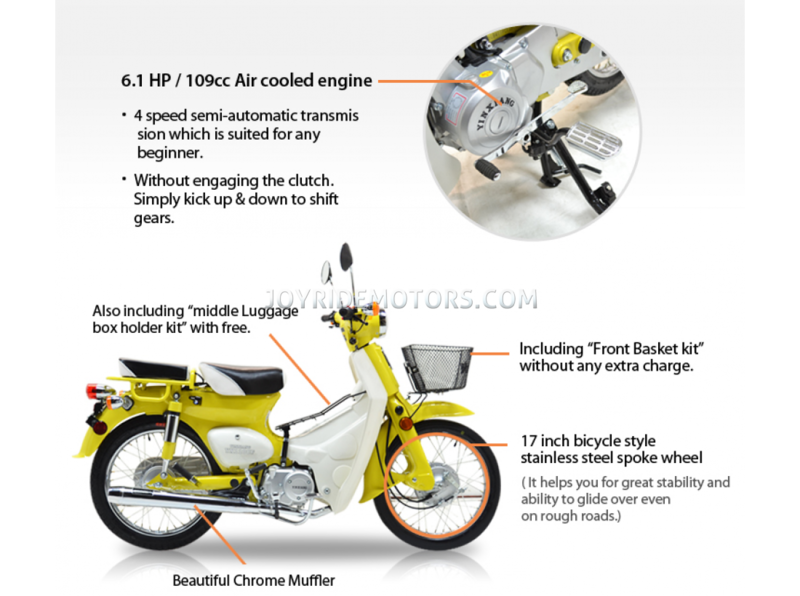 With its BIG 17-inch wheels provide great stability and this Moped invariably goes where you want it to go as it glides over rough roads with ease. 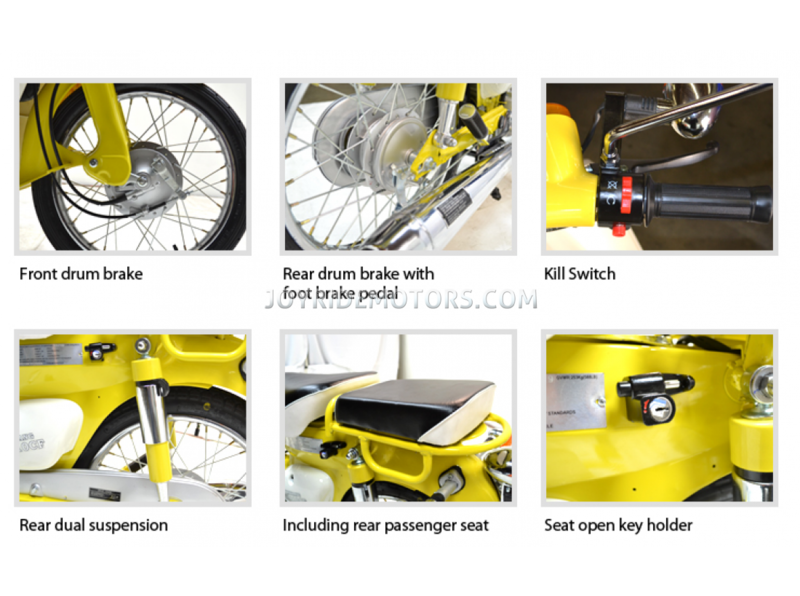 The up-graded brakes are 110 mm drums in front and rear. 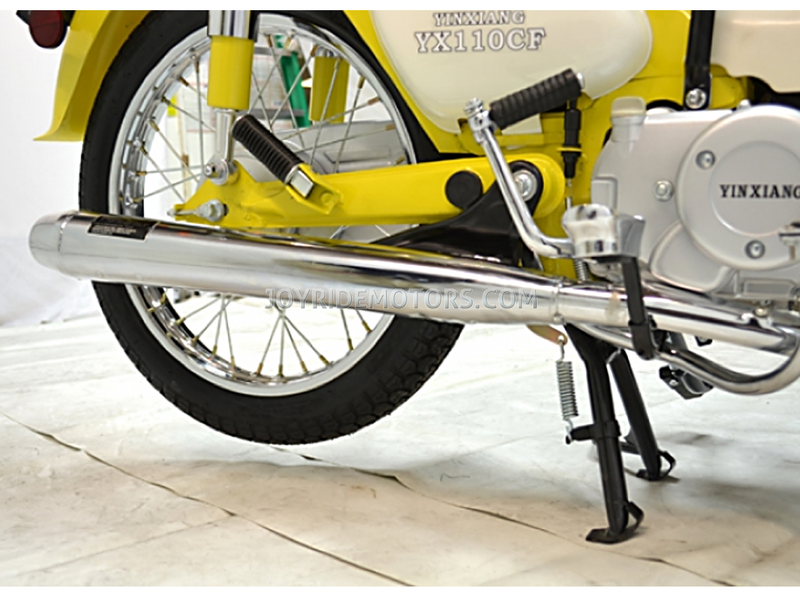 The front brake is activated with a right hand lever and the rear with your right foot, just like a motorcycle. 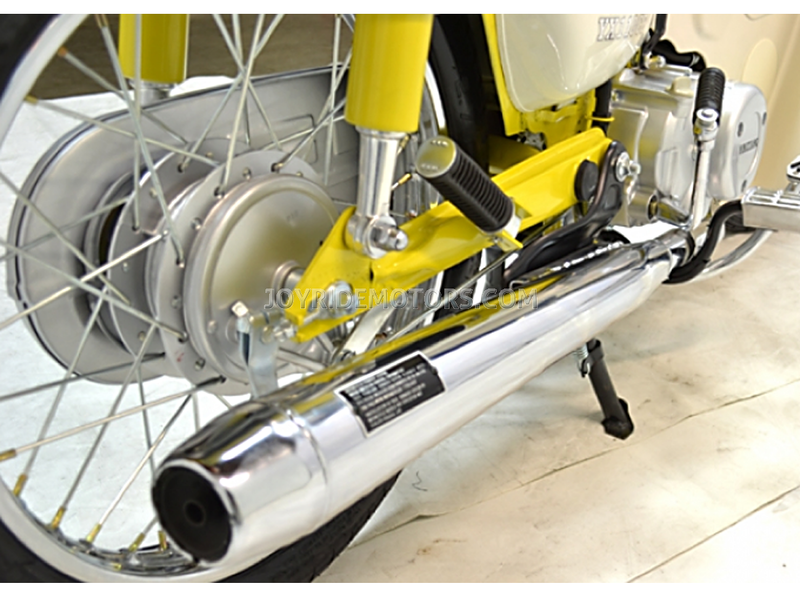 It's retro design and chrome accessories make it look like a piece of history, but it runs like it was just made for you yesterday... because it really was! 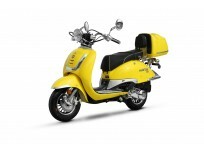 The two passenger seating is low and comfortable. 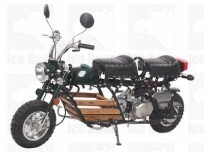 Great for 1 or 2 passengers. 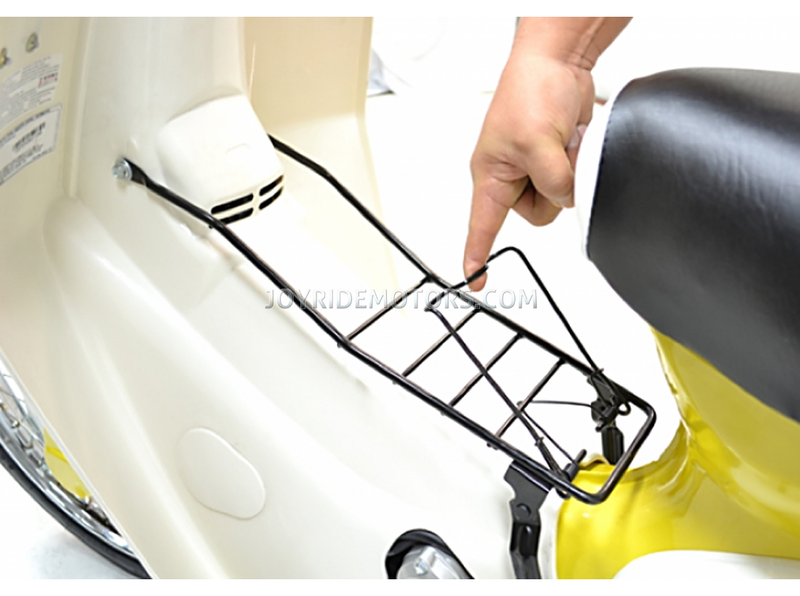 It even has a Kill Switch in case of any emergency. 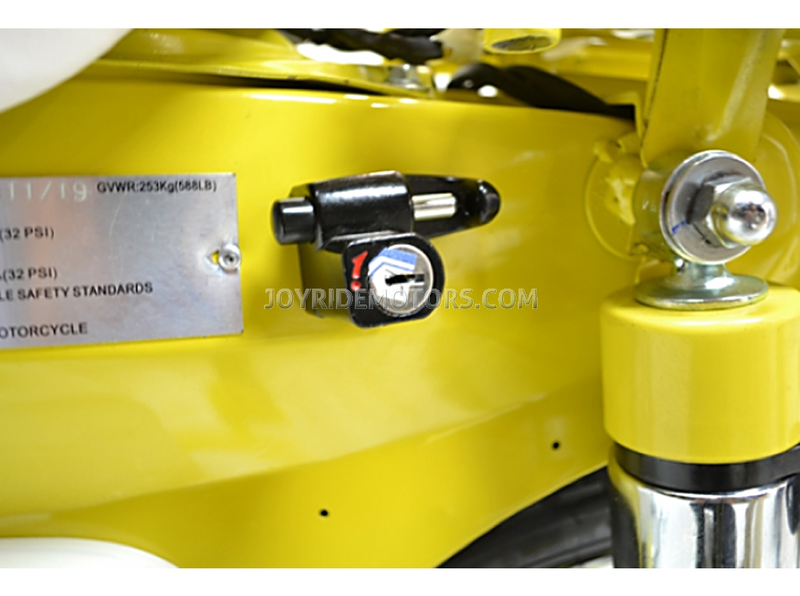 With one press of the button it automatically cuts the engine so you can stop easily. 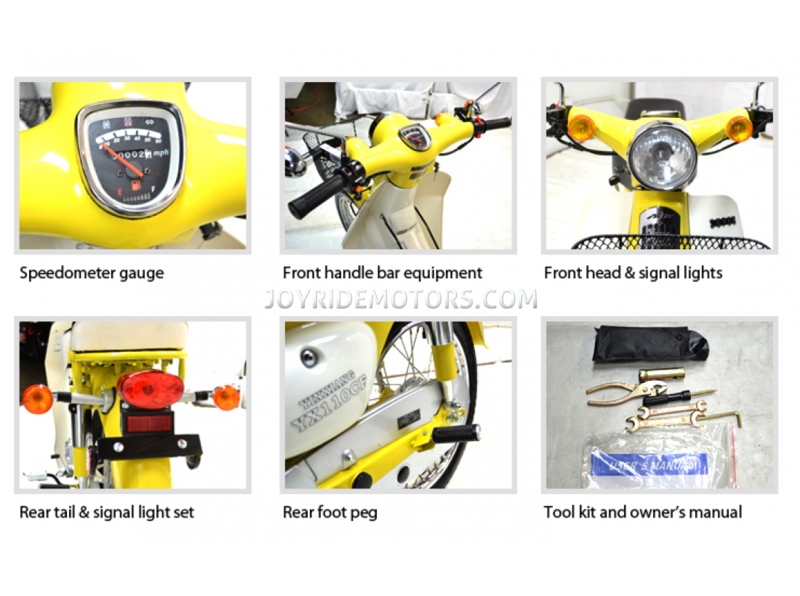 It comes with the latest in modern technology, wiring, lighting, controls, and is environmentally conscious, which makes the Metro a true Joy Rides favorite! 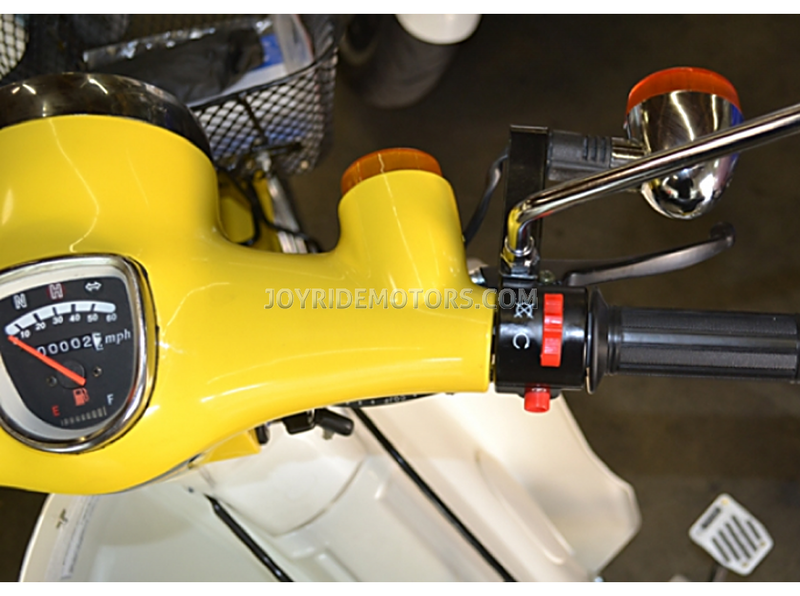 If the photo's, specs and description of the Metro 110cc Moped aren't enough take a moment to ask us, or see what our customers have to say... After a decade of experience in this industry, we know you have lots of questions, so just call us at 1-877-300-8707 and we'll be delighted to answer them all :) To see what our customers have to say about us and our products, please click HERE. 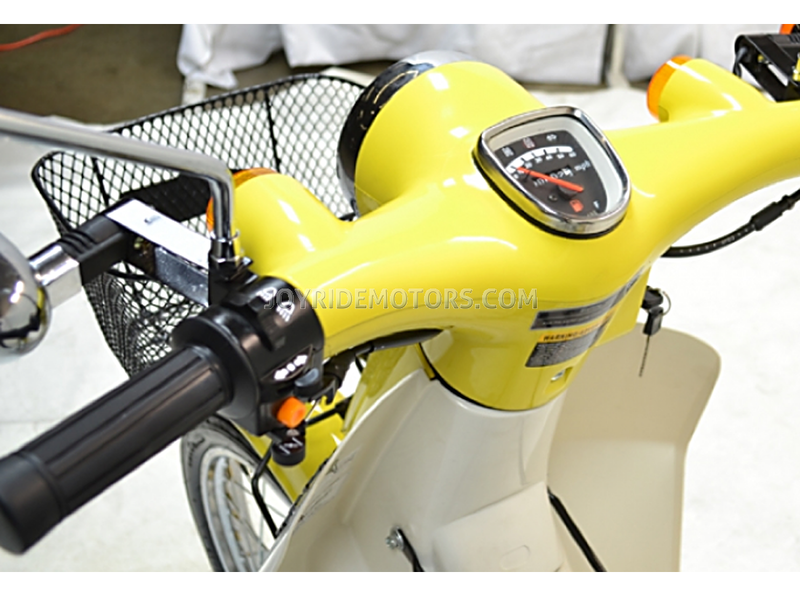 The Metro is CARB, EPA & DOT Compliant and can be shipped to ALL States.